Work From Home ~ Is It Really Possible? Is it really possible to work from home? The answer is an undeniable "YES," it is truly possible to earn a steady and profitable income by working from home. In this day and age, if one has an open mind and is willing to take the road less travelled, anything is possible including the idea of "work from home." 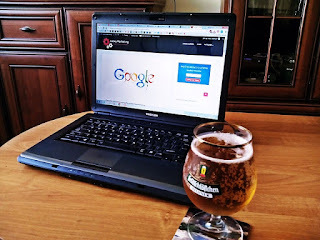 The internet, for me, is the greatest discovery in modern times, owing to the fact that it allowed for people, businesses and establishments to connect instantly. Well, that is if you live in a highly modernised country where lightning-fast broad bands are a norm. In some parts of Asia, internet speed can mimic a snail crawling its way along the ground, frustrating business people the most. The idea of "work from home" or "working from home" is not new. However, few have taken this route for fear of the unknown.But in reality, the people who have courageously ventured into businesses that allowed them to work from home successfully, started just like you and me. These people didn't know a thing about running a business from home or working from home at the start. But with the right mindset, right tools, right mentorship and right systems, coupled with hardwork, patience and perseverance, they made it. I have come across several notable persons who have been an inspiration and role model for me in the traditional way of doing business, as well as in my journey as an online entrepreneur. These people have no regrets giving up their hard-earned corporate jobs, even after spending years in the academe or defying their parents' wishes for them. Instead, they made a choice and followed their dreams. The idea of "work from home" or "working for themselves" really appealed to them for so many reasons and now, they are all successful in their own niches. One very inspiring person comes to mind whenever I ponder about following one's dreams. A couple of years ago, I met Ma'am Shirly, known as the "Grand Dame of Philippine Landscaping." Charming, engaging and very down-to-earth,I was mesmerised as she related her story of defying her father's wishes to finish medical school. She recalled saying these exact words to her dad, "One day I'll make you proud of me." She followed her heart and ventured courageously into landscaping armed only with guts, hard work, belief and determination to succeed. In the end, the glory became hers and she made her dad proud. All these time, she continued working from home. In my first few months of learning the ropes of online business, I met my mentor who was making over US$200,000/year as a top salesman for a big company. According to George, although he was earning way beyond what the average Joe earns, he didn't have the time freedom to really do what he wanted to do. So he tried looking for work from home opportunities online and he was lucky enough to find a system that allowed him to have both time and financial freedom. In less than six months, he was able to quit his job and travelled to 14 countries in the past two years. Thus, "work from home" can also mean work from anywhere in the world! I have also found a system that allowed me to earn my first money online. Believe me, I have bought into other work from home opportunities but none made me even a penny! I was a total newbie like you but after reading books by Robert Kiyosaki, especially "Rich Dad, Poor Dad," my eyes were opened and everything he wrote made sense to me. Being in a job will never give you both financial and time freedom. You are trapped in a cycle with a fixed income that pays you once or twice a month, depending on the hours you put in. In essence, you are working for the money! However, when you become a businessman or an investor, your money works for you! In effect, you'll have time and financial freedom to do what you want or pursue your hobbies and interests. My advice to you is, if you want to work from home in the future and have the freedom to spend your time doing what you love, START NOW. Time equals money. Find the right mentor, the right system, right tools, most especially, have the right mindset. Not everyone can be an online entrepreneur but if you have all the above, then you're on the right track. Many people quit easily when they are faced with a hurdle. But that's how life is, not excluding businesses with its ups and downs. If everything is smooth sailing, nothing much in terms of learning is happening. I have found that when you make every day count by learning more, doing more, or giving more...more and more possibilities are drawn to you. You become an opportunity magnet. 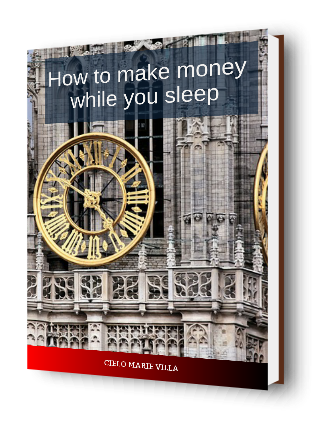 Click here >>> Show me how to make money around the clock!